Our refund policy allows patients to return their Circadia® device for a refund within 30 days of receipt. Fisher Wallace applies a 15% return fee to cover the cost of medical device processing, and does not refund the cost of shipping. Refund checks (for 85% of the purchase price) are mailed within five weeks of receipt of an undamaged device. All clinical studies performed with the Fisher Wallace Stimulator® used the same stimulation dosage as Circadia®. Circadia® and the Fisher Wallace Stimulator® are manufactured by Fisher Wallace Laboratories. One of four technologies innovating mental health. Our industry-leading refund policy allows customers to return their Circadia® for a refund within 30 days of receipt. To request an extension to your trial period for up to an additional 30 days (60 days total) or to initiate a return, please click here. If you return your device, Fisher Wallace applies a 15% return fee to cover the cost of device processing and does not refund the cost of shipping. Refund checks (for 85% of the purchase price) are mailed within five weeks following the receipt of an undamaged device. If you are having difficulty using your device, please read the troubleshooting section of the instructional manual, where you will find solutions for the most common problems. If you still need help, please call us at 800.692.4380. If we cannot solve your problem over the phone, we will repair or replace your device at no charge, so long as it is still under warranty. Is there anyone who should not use CIRCADIA®? The only patients who are not qualified to use our device are those with implanted medical devices, such as an implanted nerve stimulator or pacemaker, as CIRCADIA® may interfere with the functioning of such devices. The device is contraindicated for use on the body in patients who have demand or sensing type cardiac pacemakers. This device should not be used around the Carotid sinus. Patients with known or suspected heart disease should not be stimulated. Patients who react poorly to the idea of electrical stimulation of any kind should not use this device. Patients whose skin is irritated around either electrode site should discontinue use of this device. Are there any potential side effects of using CIRCADIA®? Less than 1% of CIRCADIA® users may experience a temporary headache, dizziness or skin irritation at the electrode sites. CIRCADIA® may be used safely in conjunction with any medication. CIRCADIA® works by comfortably stimulating the brain to produce serotonin, endorphins and melatonin while lowering the stress hormone cortisol, as demonstrated in published studies. A 60-subject study published in 1999 also demonstrated improved focus and concentration after low dose alternating current stimulation, and a 2012 study determined that low dose alternating current dampens the brain's Default Mode Network (DMN) which is active during periods of stress. Access our research Dropbox. What's the difference between CIRCADIA® and the Fisher Wallace Stimulator®? 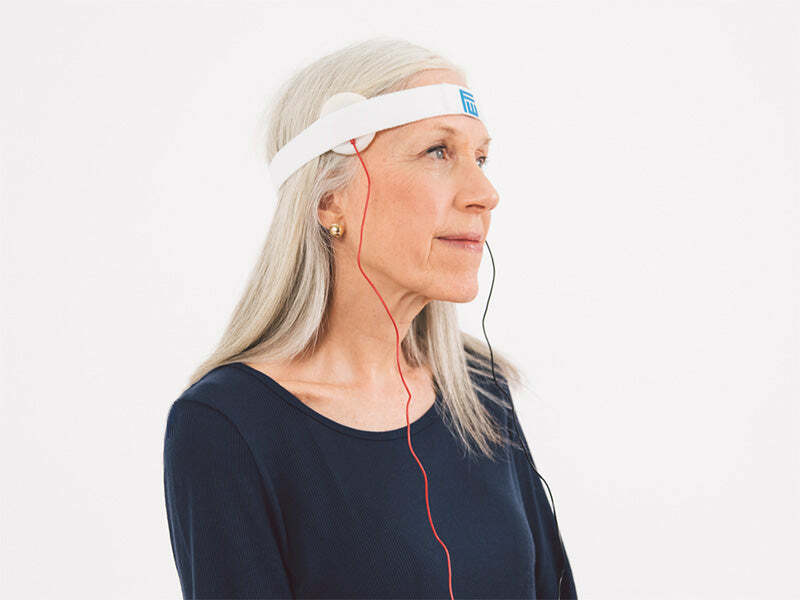 CIRCADIA® and the Fisher Wallace Stimulator® are identical technologically, but CIRCADIA® is defined as a general wellness device because it is intended to help people manage stress and sleep. CIRCADIA® is not intended to treat medical conditions. The Fisher Wallace Stimulator® is defined as a medical device because it is indicated to treat anxiety, insomnia and depression. CIRCADIA® is powered by two AA batteries which typically last for six months of daily usage. Will CIRCADIA® help everyone who uses it? Based on our scientific, clinical and market data, CIRCADIA® will help approximately 80% of daily users. Consistently using CIRCADIA® on a daily basis for the first 30 days is important to experience results; once you experience long-lasting benefit, CIRCADIA® may be used on a maintenance basis (3-4 times per week) or on an as-needed basis. Based on over 10 years of patient monitoring and reporting associated with the Fisher Wallace Stimulator® (from which CIRCADIA® is technologically cloned), there are no long-term negative effects of using our technology. How often should I use CIRCADIA®? We recommend using CIRCADIA® every day for the first 30 days. You may then continue on a daily basis, maintenance basis (3-4 times per week) or on an as-needed basis. There are no negative effects associated with abruptly ceasing its use.